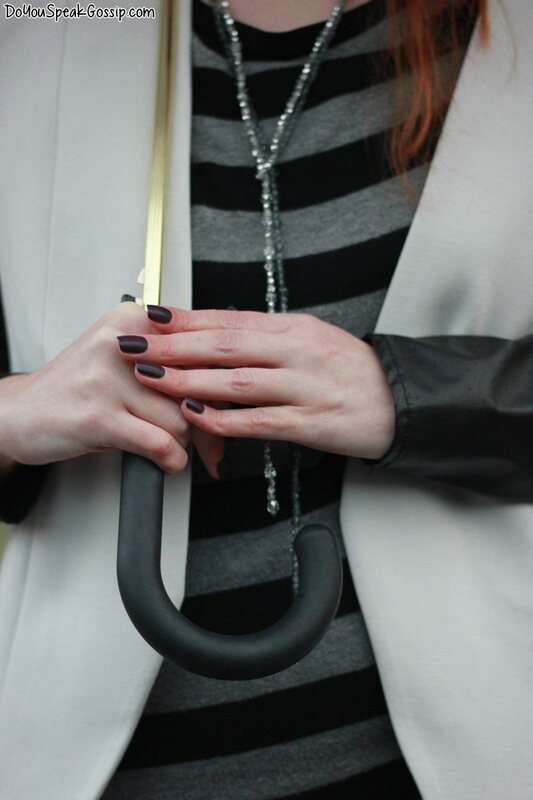 Stripes & leather under the rain | Outfits - Do You Speak Gossip?Do You Speak Gossip? These are the last outfit photos from February. This is the outfit I wore to go to Maria’s birthday party that day. It was raining, it was cold, and I was sick, so I wanted to look stylish enough for a party without sacrificing my comfort and my warmth. The dress itself was more casual than I’d prefer for a birthday party, so I combined it with my white blazer with the pleather sleeves, which I haven’t worn in a while, and my high platform mary-jane loafer heels that I wanted to wear for a long time. We took these photos as quick as we could, as we were standing under the rain, and of course my long coat was waiting for me in the car for more warmth. What do you think? Tέλειο outfit Μαρκέλλα μου και μου άρεσε που το προσάρμοσες σε αυτή την περίσταση(γενέθλια).Τα παπούτσια σου είναι πολύ λαμπερά!! !Πολύ όμορφες φωτογραφίες!! 🙂 Φιλιά!! S’euxaristw poli Giwrgo mou! Filia! Σικάτη, τσαχπίνα και γλυκιά όπως πάντα!!! πολύ πολύ ωραίες φωτογραφίες! υπέροχη! 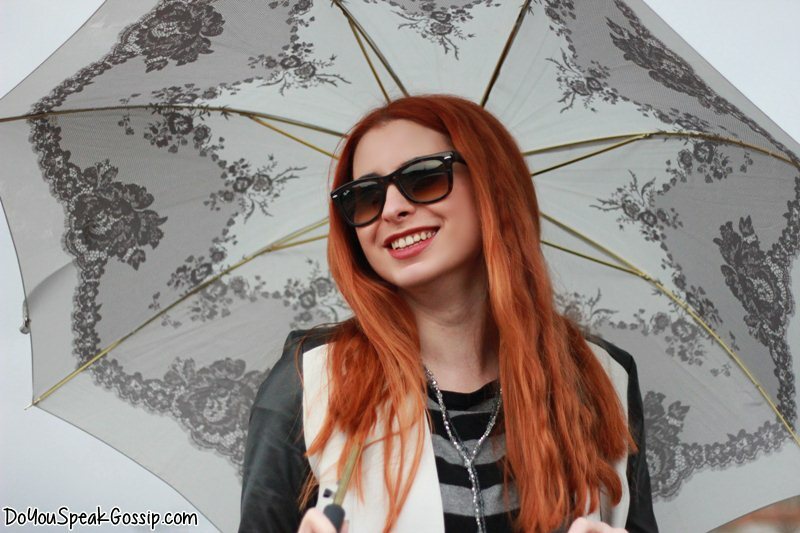 Your umbrella looks perfect with this outfit! Το σακάκι σου ειναι υπέροχο! Μα πάνω απο όλα μου εχει κλέψει την καρδιά η ομπρέλα σου! I think you look great, I really love the dress it doesn’t look too casual. Great photos! S’euxaristw poli poli poli! 🙂 Na’sai kala!